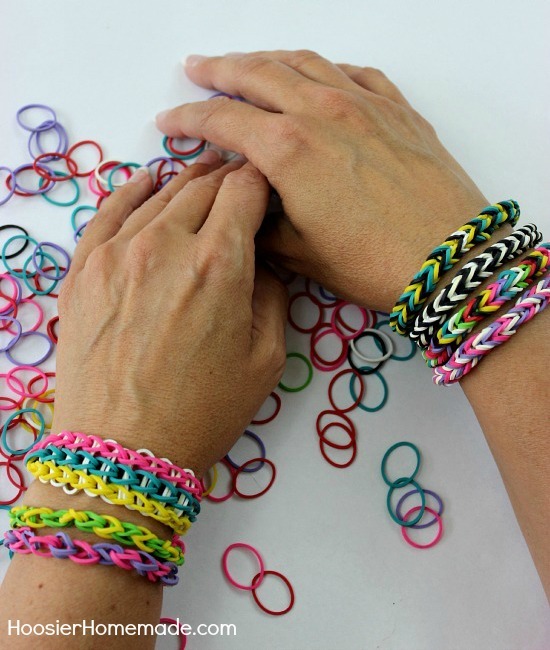 The Rubber Band Bracelet craze continues to be fun for kids of all ages! 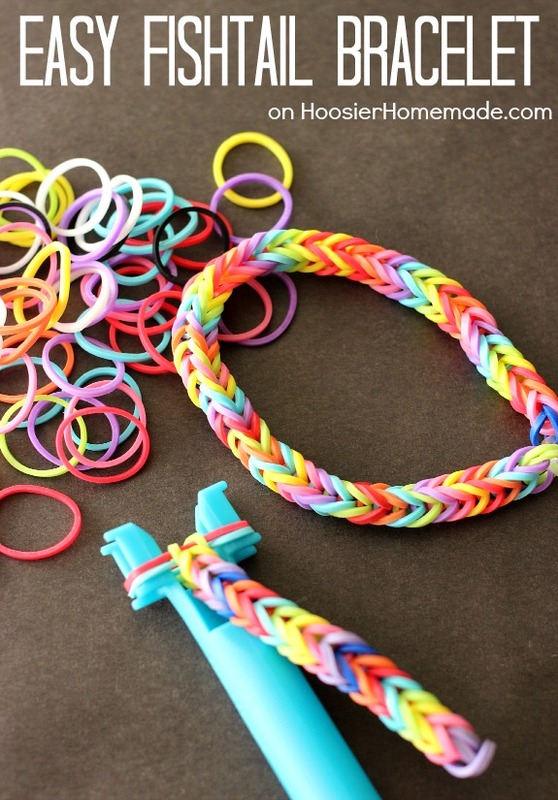 The endless ideas for these bracelets are simple and easy. 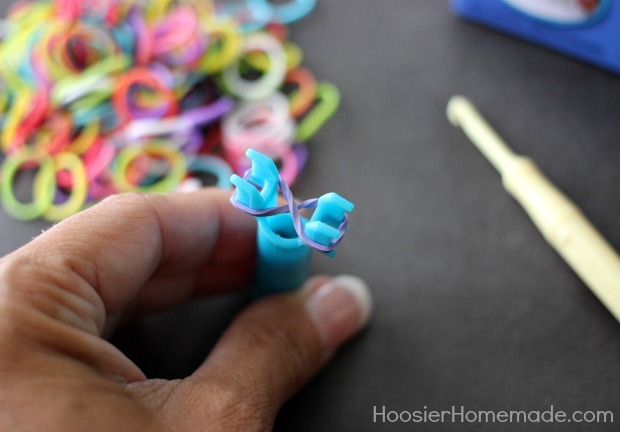 Today I’m sharing with you how to make a Triple Fishtail Rubber Band Bracelet, similar to the Fishtail Bracelet, but even better! 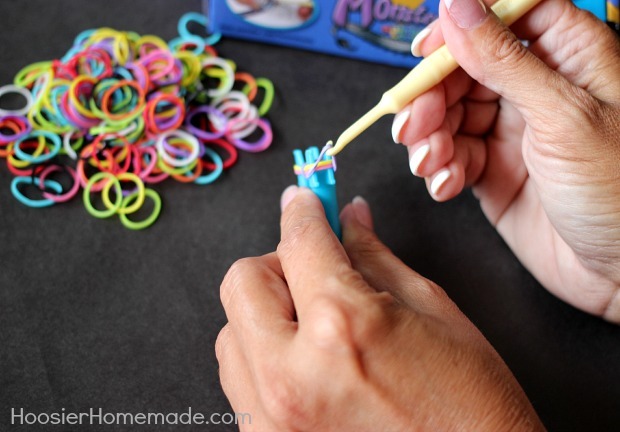 The kids will have hours and hours of fun creating these Rubber Band Bracelets. And the color options are endless. 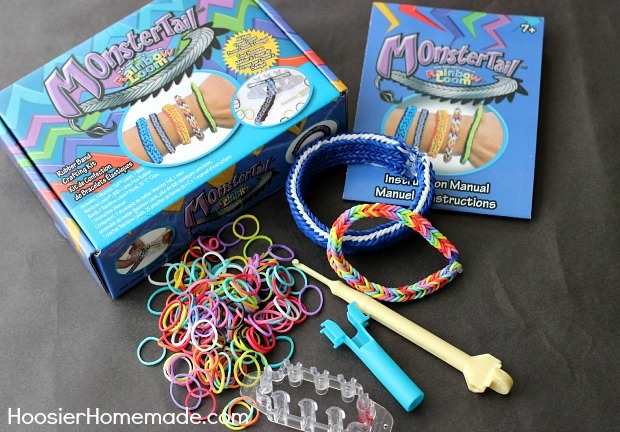 The Triple Fishtail Bracelet along with the new very easy Fishtail Bracelet, which I will also show you, are created on the new Monster Tail Loom from Rainbow Loom. 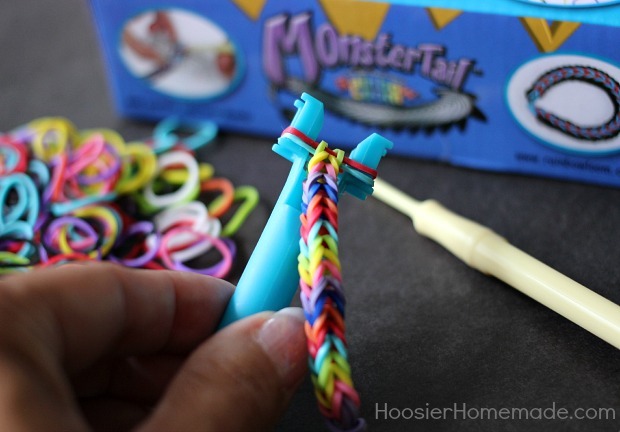 The Monster Tail Loom is smaller in size than the Rainbow Loom, but in my opinion much easier to use. 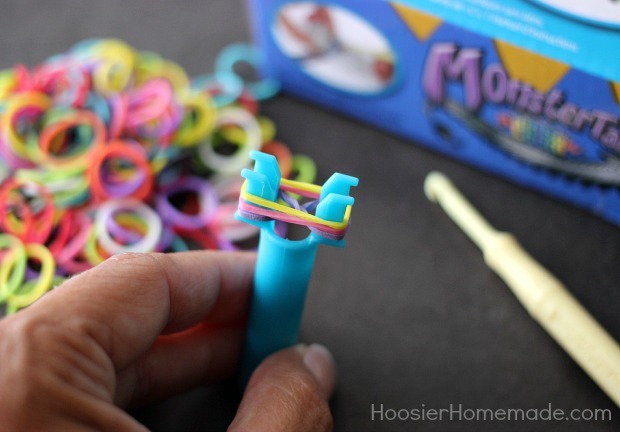 The kit, available at Walmart for $6.54, comes with an eight peg loom, instruction manual, hook, mini loom (the blue piece in the photo), 600 latex-free rubber bands and 25 large “C” clips. The new design has an opening in the center to allow for your design to grow out and under the loom. And the pegs have the opening outward so you don’t have to worry about arrow directions. I think these kits would be perfect to have on hand for those school friend birthday parties. 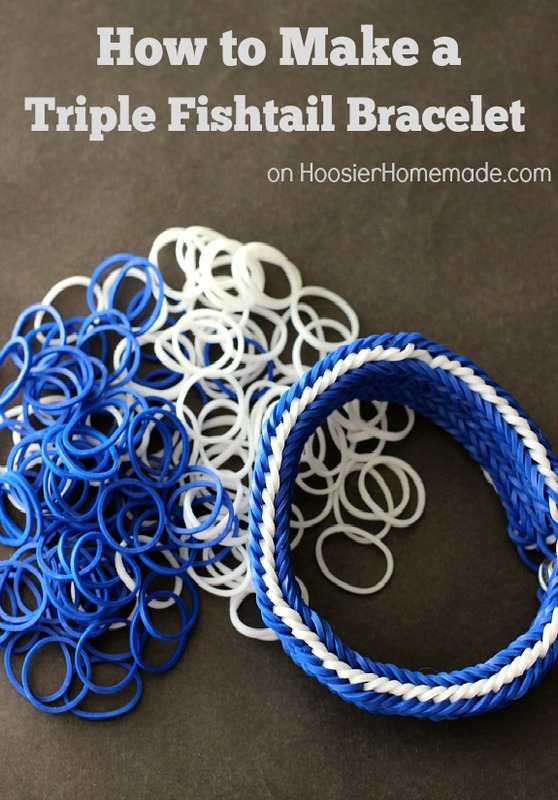 I found this video showing you how to make a Triple Fishtail Bracelet, and because it’s much easier for me to see someone else make it and follow along, I thought it may be easier for you as well. If you are viewing this post in email, you can view the video here. After I got the hang of making the Fishtail Bracelet it was pretty easy. 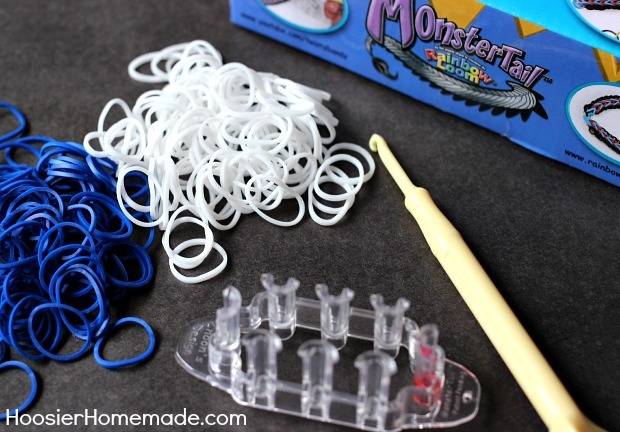 So I was excited to give this new tool from Monster Tail a try. 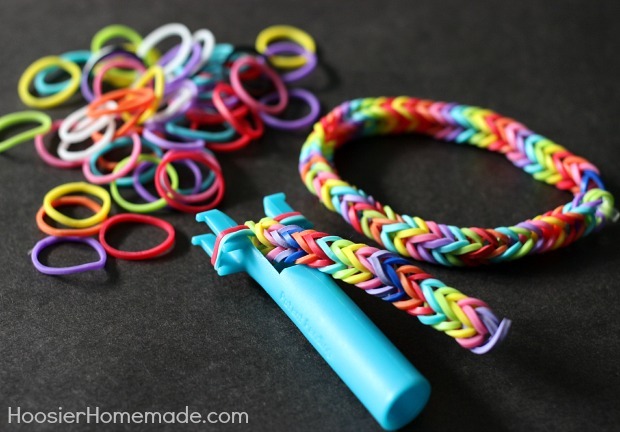 The result – super easy, and really fun to make too! 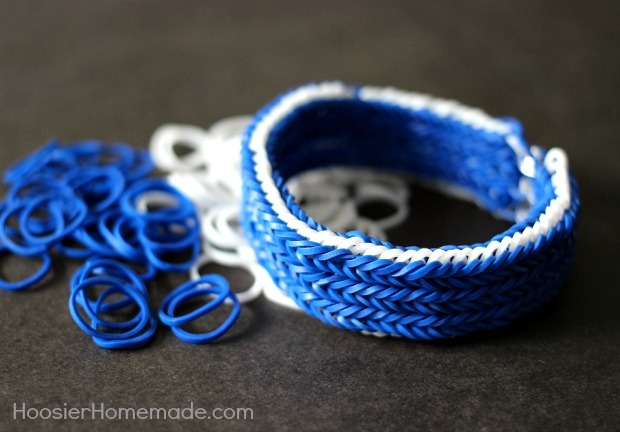 You may also like to learn how to make a Fishtail Bracelet.